I mentioned last week that we got new bees a couple weekends ago. We ordered them from a beekeeping shop about an hour from our house. The package above is three pounds of Italian honey bees shipped from Georgia. 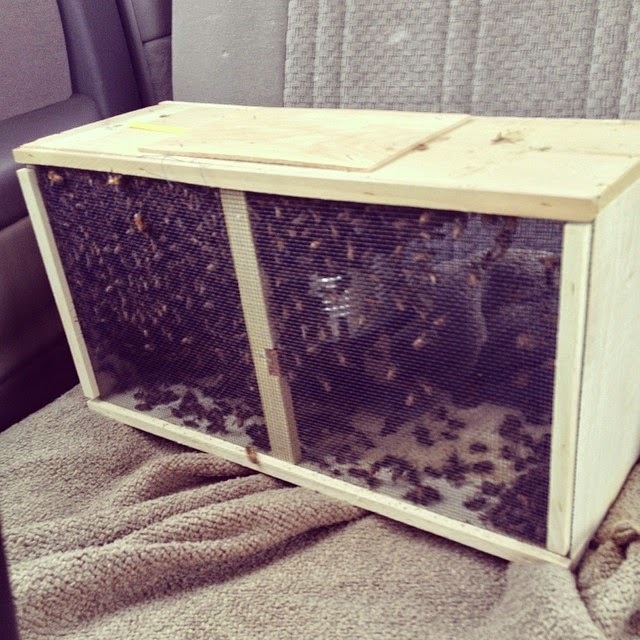 The package has about 10,000 bees, give or take, and comes with a mated queen. The metal can inside the package is a syrup can and is used to keep the bees feed during the journey. 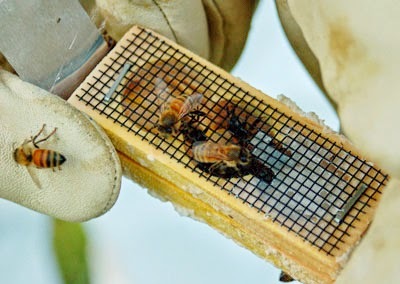 The queen does not come from this hive, so she's placed in a separate cage with a couple helper bees with her. The cage has a screen side, to allow the new hive to interact with her without killing her. The bees will kill the queen because they don't recognize her. Pheromones are released and over a couple of days, the new hive will accept her as the queen. It also comes with candy and a cork for releasing her after the period of time for introduction. I didn't get a photo of our queen, but I found one online that shows what this little cage looks like. The bees are dumped into the hive, see the literal dumping process from last years hive here, and left to acclimate for a couple of days. After waiting, Mike opened up the hive to release the queen. You then wait longer so that you pretty much don't piss off the hive while the queen starts laying eggs. If you do open up the hive and disrupt them, they may blame the queen and kill her off. Being a queen sounds awesome, but there are so many chances of getting killed, that I think I'd decline! This is our third time we've had to do this process. While it's neat, it's frustrating that our bees aren't lasting through the winters. We started our first hive too late in the season and they were too weak, it also didn't help that our winter was uncharacteristically mild. The bees like temperatures above 50 degrees, so with the warmer winter days hovering around that temperature, we had very active bees, but not warm enough to get out of the hive. Not that there would be any food sources available since it was still technically winter. We learned our lesson and got last years hive going with more than enough time, and ended the season with a very strong hive. I've mentioned that our winter was extremely long this year, and it was too long for our bees. We tried all that we could to winterize them, but it wasn't enough. All this loss made us decide to switch our hive structure. 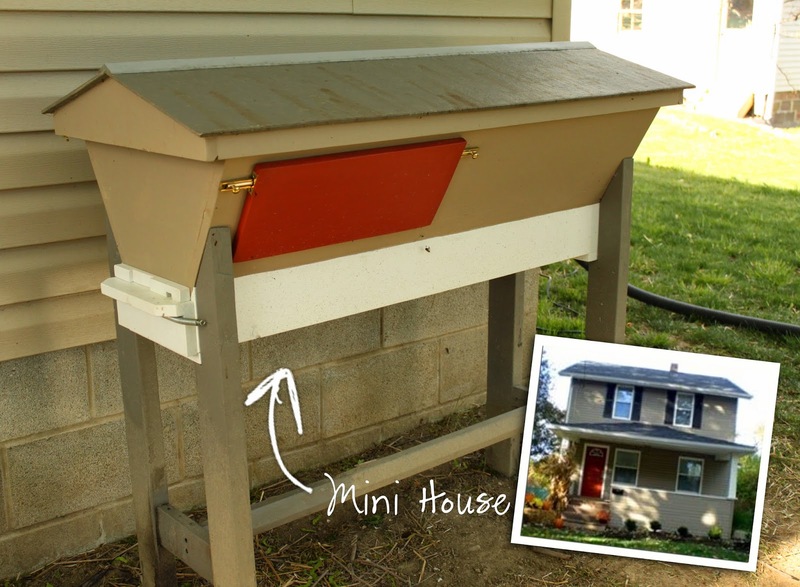 We were so proud of our homemade Top Bar hive that was our mini house. But, we felt the design of the Top Bar was inhibiting us from efficiently insulating them for the winter. 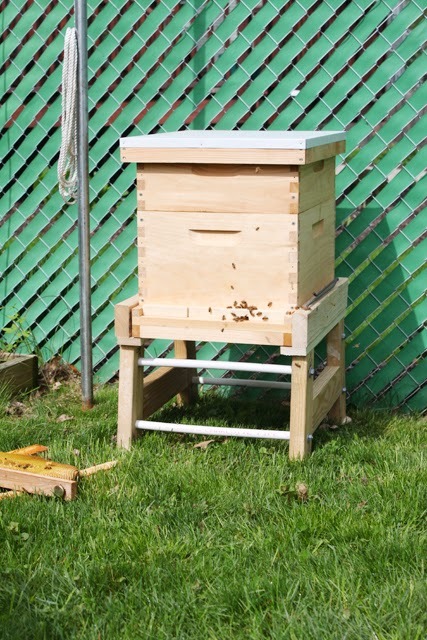 Winterizing a hive doesn't just mean keeping it warm, proper ventilation is required as well. That's why we decided to get a Langstoth hive this year. I'm not going to explain every part, but the basics are the Deep Super is for brood, (honey bee eggs), and the Honey Super is obviously for the honey. Some of the cooler aspects that differ from the Top Bar are the Queen Excluder which is a screen that is too small for the queen to fit through preventing her from laying any eggs in the Honey Super. 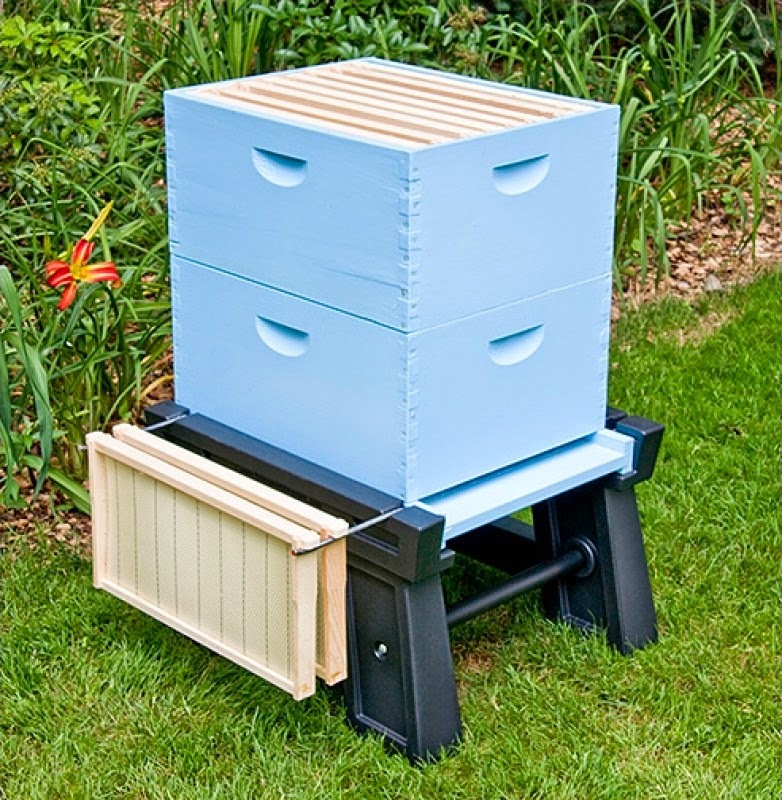 This makes honey collection a lot easier since our Top Bar combs had honey, brood, and pollen cells all together. Also, the ability to add on supers as needed. We would have to completely remove the combs in the top bar to make more room. It keeps it higher off the ground, and Mike also added swinging metal arms to allow a place to hang frames while working in the hive. You may also notice that the hive isn't in the same place as the last one. 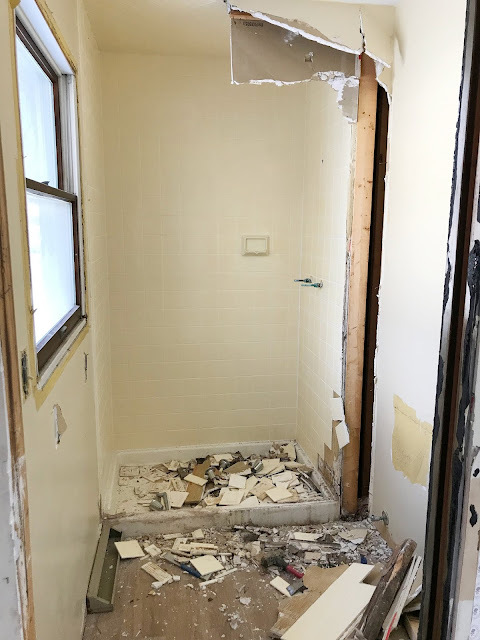 As you know, we had to get the garage treated for termites, and this happened a couple days after we got the new hive, so we had to keep the back clear. 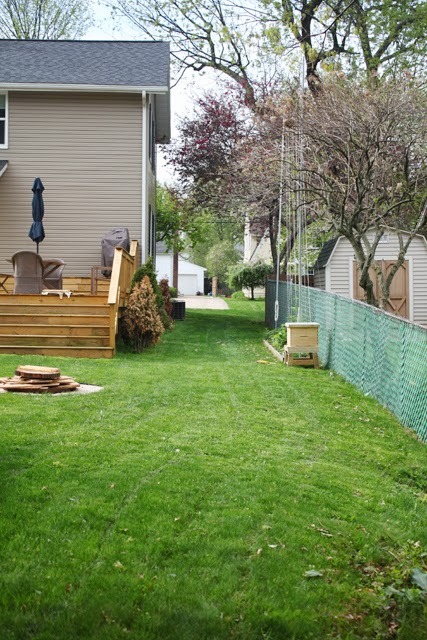 You also know that we have plans for the grassless area behind the garage, so we felt we should set up the hive on the side of the yard, while they acclimate, instead of moving them when we were ready to get the stone back there. We're hoping the weather is cooperative for work this weekend. Right now, the hive sits next to the hop trellis. 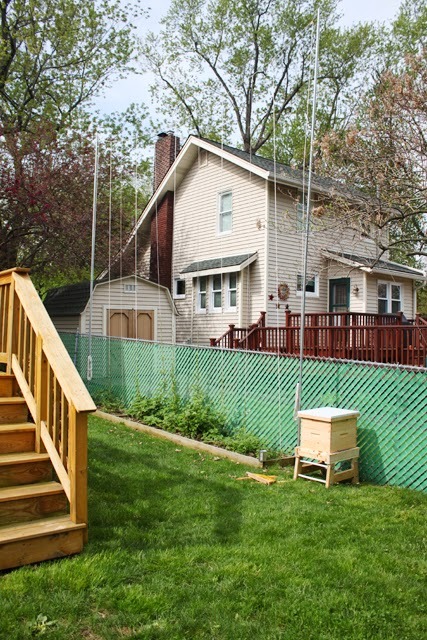 We're excited to finish up behind the garage and get the hive in it's permanent home soon. 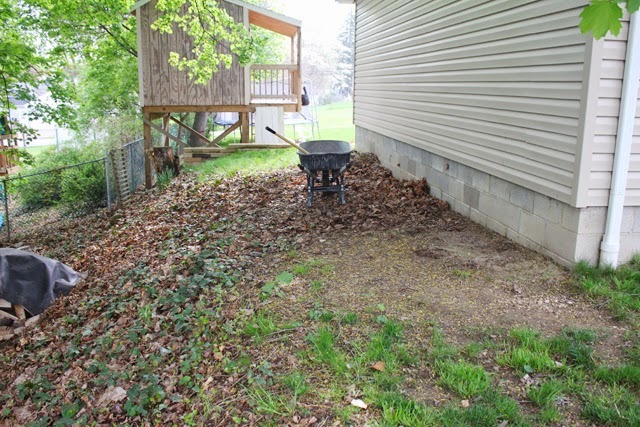 Not only so the bees can get acclimated but also so we can get started on the side yard as well. It's in a very sorry state. 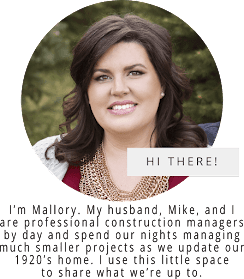 Since we moved in 4 years ago we've focused our attention on getting the interior how we wanted and neglected the exterior. This summer we're planning to change that!